Aromes complexos de fruits vermells, aromes torrats de la bóta i tanins suaus. Acidesa fresca i llarg en boca. Costers del Gravet 2015 : 94p. A stunning nose with the whole spectrum of black fruit, from cassis through cherry to plum, but also delicate herbal notes. A rich and ripe red with polished tannins carrying the long finish. On the cusp of greatness. A blend of grenache, carignan and cabernet sauvignon. Drink or hold. Costers del Gravet 2015: 9.09p. Costers del Gravet 2013: 8,90p. Costers del Gravet 2014: 89 p.
Costers del Gravet 2012: 8,60p. Costers del Gravet 2013: 90 p.
Costers del Gravet 2013: 89p. Concours Mondial de Bruxelles 2015, Jesolo (Italy). Costers del Gravet 2012: 89p. Costers del Gravet 2012 : Silver Medal. El descriu com un vi de color vibrant, amb aromes de fruites negres i tocs de regalèssia. En boca elegant amb notes de baies i violeta al final. Amb un taní integrat, fàcil de beure. Costers del Gravet 2011: 88.92p. Rojo picota ribete carmín. En nariz buena fruta acompañada de los tostados, el cuero limpio, fondo animal y toque licoroso. En boca tanino que llena la boca, sensación de carnosidad, amable, balsámico y al final vuelve la fruta acompañada de pan tostado. Capçanes, Costers del Gravet 2011 Montsant 17/20 Drink 2014-2017 Cabernet Sauvignon, Garnatxa, Carinyena. From 25-40 years old vines planted in Capçanes and Guiamets. Harvest takes place in October. 12 months in French oak barrels. Retail price €12. Capçanes is a quality driven co-operative that dates back to 1933. Their wines flood restaurants in Catalunya and wine professionals feel really proud of them. The wine is modern in style, hedonistic, easy to enjoy, juicy and super pleasant. Quite straightforward in aroma with concentrated blueberry fruit. More voluminous and spectacular than long and complex. Lots of concentration, lots of fruit, lots of wine. Am I tasting Priorat? 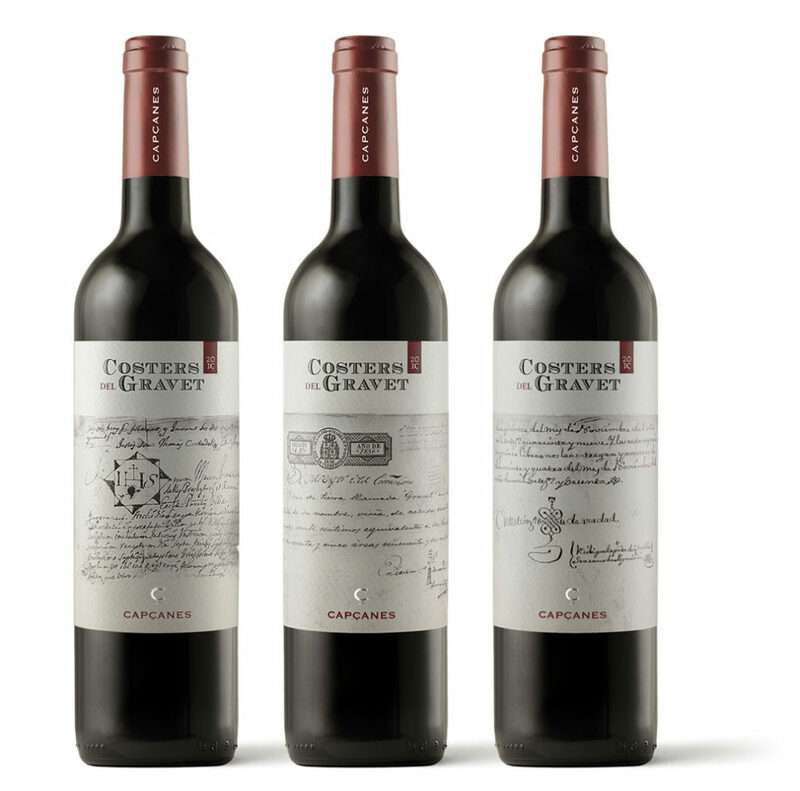 Costers del Gravet 2010, 91p: Complejo y con casta. Le falta pegada pero no finura en nariz, pero se expresa en un gran paso de boca, fresco, fluido, equilibrado, sabroso, amplio, largo. Costers del Gravet 2011, 91p Vino Excelente 50%Cabernet Sauvignon, 25% garnacha, 25% Cariñena. Color cereza brilllante. Aroma fruta madura, especias dulces, roble cremoso, mineral. Boca sabroso, frutoso, tostado, taninos maduros. 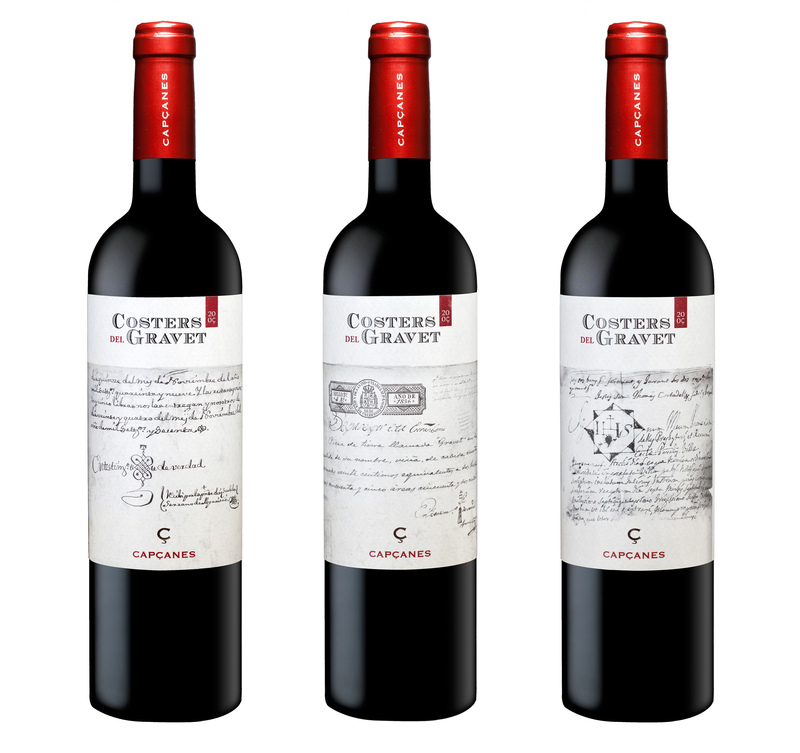 Costers del Gravet 2010, ★★★★+ EXCELLENT quality: Quality single vineyard blends, using Spanish and French varieties. Full bodied, round and complex in character; a wine with good depth of fruit (cassis, cherry jam, with overtones of olive, toast, and tobacco), and a lightly tannic, somewhat oaky finish. 50% Cabernet Sauvignon, 30% Garnacha, 20% Cariñena. Aged 14 months in French oak barrels, some new. Costers del Gravet 2010 92p Colour: deep cherry, purple rim. Nose: expressive, red berry notes, ripe fruit, balsamic herbs, sweet spices. Palate: good structure, good acidity, fine bitter notes, round tannins. “Costers del Gravet 2010” 92p Color cereza intenso, borde violáceo. Aroma expresivo, fruta roja, fruta madura, balsámico, especias dulces. Boca estructurado, buena acidez, fino amargor, taninos maduros. Maceració: 14-21 dies; les varietats es vinifiquen per separat.